We are pleased that you have chosen us to provide your physical and/or occupational rehabilitation. SMARTherapy stands for Sports Medicine and Rehabilitation Therapy. Through our patient-centered approach, our therapists evaluate your injury in relation to your personal goals and circumstances to devise an individualized treatment plan and help you return to your activities as quickly and completely as possible. We offer comprehensive physical therapy, training, and rehabilitation services, which include pre- and post-operative care as well as treatment of acute or chronic non-operative conditions. 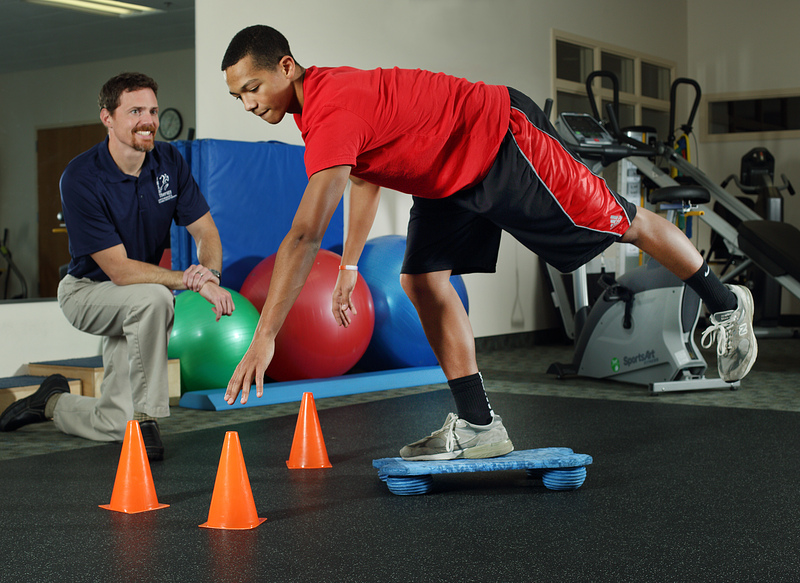 Our talented physical therapists are able to treat a wide range of orthopedic conditions for patients of all ages, but with a specific focus on athletes and sports medicine. SMARTherapy’s direct partnership with Washington Orthopaedics and Sports Medicine’s physicians ensures that therapist and physician have direct communication, allowing for a more comprehensive and seamless approach to your care. We ask that you arrive at least 20 minutes early to your first appointment to complete all necessary paperwork. You are welcome to fill out these forms at your convenience and bring it with you at the time of your first visit. Please be sure to bring a photo ID and your insurance cards to this appointment as well. We request that you wear appropriate clothing to your therapy appointments. For example: shorts for ankle and knee injuries, tank top or loose T-shirt for shoulder and neck injuries. We have convenient changing rooms available with lockers and showers. Please bring a lock if you will need to secure any valuables. We have SMARTherapy locations in association with all three WOSM offices. Parking: There is parking in the building by the hour or parking across Wisconsin Ave. at the Chevy Chase Pavillion near Giant. We are one block north of the Friendship Heights Metro Station on the red line. Parking: There is parking in the building by the hour. We are located 3 blocks north of the Farragut North Metro Station on the red line or by both the Farragut West and Foggy Bottom Metro Stations on the blue, orange, or silver lines. 2018’s Very Best Orthopedic Surgeons in the Washington, DC area, as voted by area doctors.